Vienna is a city famous for its classical music, Mozart, wiener schnitzel, known to have a good quality of life. As host to many of the world's international organizations, including the UN and OPEC, there are many reasons to visit, ranging from rich culture, enduring traditions, stunning architecture, distinctive cafes and the way of life of the people. 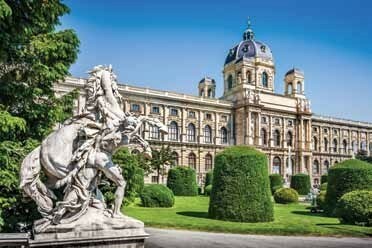 Vienna also has many interesting sights such as contemporary museums, shopping spots, restaurants to the exotic city corners. During the 19th century Vienna was the capital of the Austrian empire and later AustroHongaria (1867-1918), and was once one of the largest cities in Europe. After the Austro-Hungarian empire separation in World War I, Vienna became the capital of the Republic of Austria. In 2011 the city is included in the UNESCO World Heritage Site. 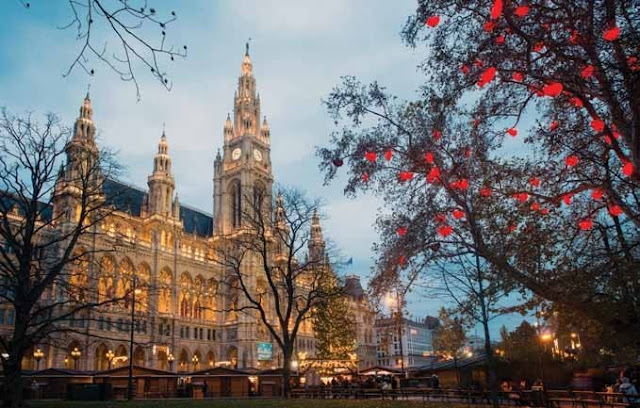 Besides having an important role as Europe's leading music center, Vienna is also known as "The City of Dreams", as it is home to the world's first psychoanalyst, Sigmund Freud. 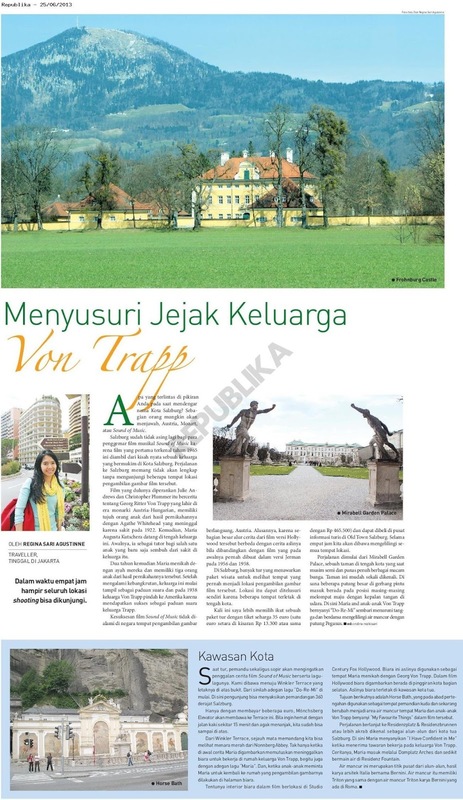 Its heritage buildings are dominated by Baroque styles that were largely created during the time of Queen Maria Theresia (1740-1780) and emperor Franz Joseph I (18481916). Almost all international airlines serve routes to Vienna International Airport from Jakarta, including Emirates, kLM, Lufthansa, Etihad, Qatar Airways, Turkish Airlines. 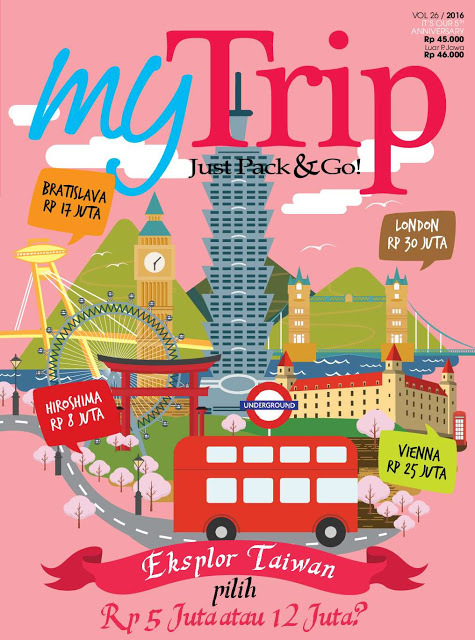 Average price for the tickets Jakarta-Vienna PP to USD 1.250-1.450 for economy class. The long flight +/- 18 hours already follows transit. It takes +/- 16 minutes by fast CAT train (City Airport Train) which the station is directly connected to the airport. Simply buy a ticket at a machine located at a train station or at a baggage claim place at the airport. Ticket price EUR 12/way or EUR 17/return. 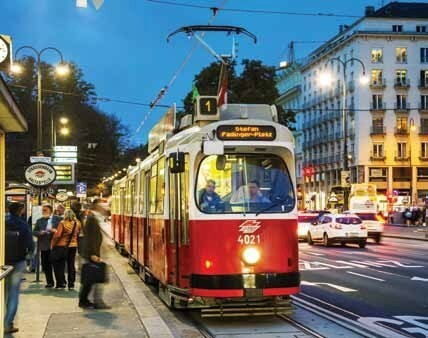 Just like any other European country that has a pass card for tourists to make it easier for them to enjoy all the facilities, Vienna also has a Vienna Card that can be purchased online as well as in the tourist information center in the city center. This card is available for a minimum of 48 hours at a price of EUR 18.90 to 72 hours for EUR 21.90. Through the guidebook we can know the places that can be visited and the modes of transportation that can be used without paying again. This card also provides discount ticket entrance some tourist attractions. Instead of walking, one of the alternatives around Vienna is by tour bus. With Hop on Hop off Bus we can go up and down as he pleases in the tourist attractions that skipped. The ticket price is EUR 15-39 with a validity period of 24-48 hours. There are 5 route options: red line, yellow line, blue line, green line and gray line. 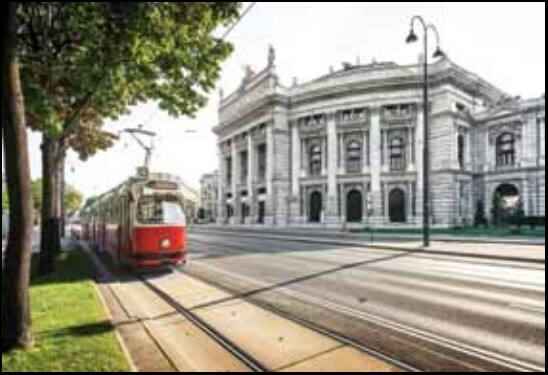 In addition to being purchased online from afar, tickets can also be purchased at any given bus stop or bus officer in the Vienna Opera House building. It is recommended to check the schedule and price on the website (www.eng.bigbustours.com). It is in front of the Albertina Museum. Buses, subway (U-Bahn), Rapid transport line (S-Bahn), tram and regional trains will take us anywhere in the city in no time. This transport system operated Wiener Linien and is divided into 8 zones. One ticket can be used in all transport systems and the price depends on the zone passed. Tickets other than can be purchased at the ticket machine at the station, can also be purchased online and vary the type. For tourists, can use single ticket, 24-72 hours, weekly pass, and if we use the Vienna Card, no longer need to buy transportation tickets. While monthly pass and annual pass is only reserved for its citizens. The square in the center of town where there is the Church of Stephansdom or St. Stephan's Cathedral which is the tallest church in Europe. The area is surrounded by middle to upper class shopping centers. Also many restaurants and cafes. Oh yes, the shops in Vienna are the same as in other European countries, only open until 6 pm, and the majority of Sundays are closed. 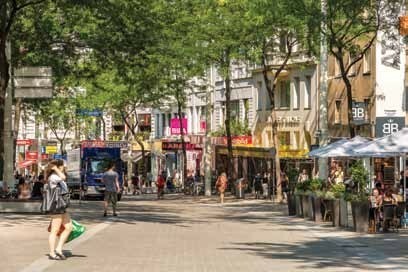 In addition to Stephansplatz, another shopping area is Mariahilfer Strasse which is the longest street in Vienna. It is not in the center of the city, but in District 6 and can be accessed by subway. 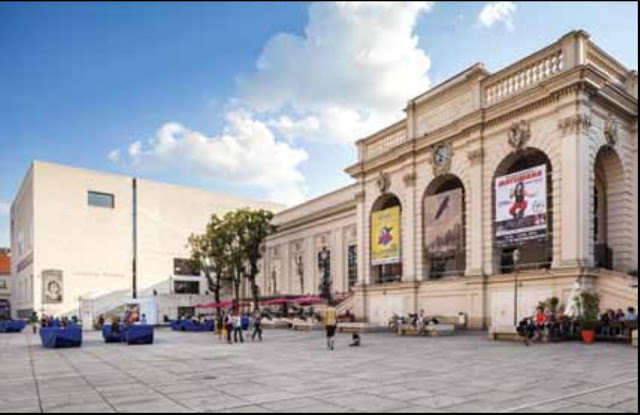 From department stores, clothing stores, bookstores, accessories and more can be found here, including restaurants and cafes. The most visited palace in Vienna is the former royal summer residence. 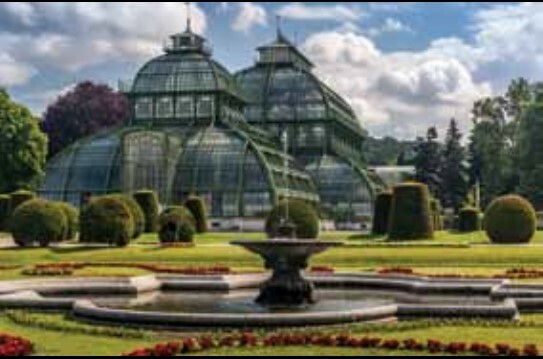 Surrounded by beautiful gardens dotted with Gloriette Monument, Palm House or conservatory which is home to dozens of Mediterranean, subtropical and Mediteranea plants. Uniquely, there is a zoo and the Marionette Theater around the palace complex. To take pictures and enjoy the view of the palace we do not need to buy tickets. Usually the backyard of a very spacious palace became a favorite place to take pictures. In spring or summer, the backyard is filled with very beautiful flowers. If you have a lot of time should buy tickets to see the interior of the beautiful palace, although not allowed to take pictures. Visitors lent an audio guide to listen to explanations every space, just by pressing the number keys according to the number written in the room. This Baroque-style palace was built in 1696 and redesigned Queen Maria Theresia in 1742. It takes +/- 1.5 hours to enjoy inside of the palace, and to enjoy the whole complex can be up to 4 hours. But I suggest you should distinguish the time if you want to zoo so do not get bored. 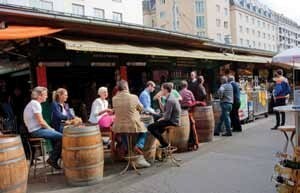 For those who like to visit the market, try to Naschmarkt. The market that used to sell milk has been around since the 18th century. sometimes called City's Stomach and is the largest market in Vienna. Open every day except Sunday. Its location is in Wienziele, near the Wien River. Not only vegetables and fruits are sold, but also meat, fish, bread until cheese until the local and imported snacks. Many come just to look around. Do not imagine such a traditional market in Indonesia. Naschmarkt is clean, and many restaurants serve typical Viennese food, as well as Indian, Vietnamese and Italian food. During the summer fun sitting in one of the cafes while looking at the crowd in the market. If Saturday comes here, we'll see a flea market that sells flea stuff, and it's always full. They are two palace complexes. 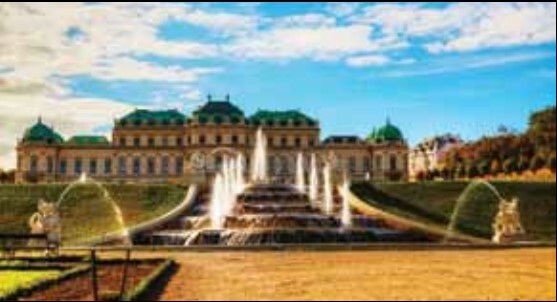 The Upper Belvedere and Lower Belvedere are one of the finest baroque buildings in the world. Built in the 18th century as a summer residence for Prince Eugene of Savoy. Upper Belvedere was once for special occasions and as a gallery of royal paintings. In this palace we can see the famous paintings by Austrian artist, Gustav klimt, one of them "The Kiss". But the painting is heavily guarded, visitors are prohibited from taking photos. This palace consists of several rooms, there is the name Sala Terrena who has access to the garden next to the palace called Garden Hall. There is a Carlone Hall which is a painting room. The name is given to the designer who painted the fresco on the ceiling. And Marble Hall is the most majestic room in this palace, the only one accessible from the main staircase. While Lower Belvedere once used as a residence of Prince Eugene and also a place to store a collection of royal items. The rooms are almost the same as the Upper Belvedere. Once used by the emperor Joseph II when setting up a revolutionary program, and now the official office of the president and ministers, who are on the Leopold Wing side and not open to the public. While the room that was once the residence of Emperor Franz Joseph I and Empress Elizabeth, is currently a museum and is known as the Imperial Apartment. The design of each room is amazing with Rococo-style details. Almost all the furniture is still original from the 19th century even some accessories such as tapestry and ceramic heating has been around since the 17th century. You can not take pictures here. Showing +/- 300 personal collection of Elizabethan Empress that has surname Sisi. The design of his room depicts the personality of his lifetime - a young girl who later becomes an uneasy, hard-to-approach and melancholy woman. Goods on display ranging from small objects such as the harp that he brought from Bavaria, umbrellas, gloves, beauty recipes, reconstruction of evening dresses worn during marriage, and replicas of imperial railway cars. Again visitors are prohibited from taking photos. In this room we can take pictures of the royal collection of household appliances, silver or golden tableware, including ceramics. It is a ring road built in 1860-1890, 5.3 km in length around Innere Stadt Distrik 1. The buildings are designed in different styles, there are Neo-Renaissance at Vienna State Opera and Vienna University; there's the Museum of Fine Art, The Parliament, the Flemish Gothic City Hall; The Burg Theater in New Baroque style; while the Vienna Stock Exchange Building and the Votive Church and the Museum of Applied Arts in New Gothic style. There is a tram that passes through this Ringstrasse lane. Have you ever heard of a wooden puppet show in Austria? Yes, the show is called Marionette and is famous in Austria. Held at the Marionette Theater, inside the palace complex. Indeed, the ticket price is not cheap and in German, but unfortunately if passed. Lasts +/- 2 hours, the stories featured include Mozart's The Magic Flute, On the Beautiful Blue Danube, Hensel and Gretel, Aladin and many more. Viewers are allowed to take pictures but can not use flash. It is the City Hall as well as the Vienna mayor's office. 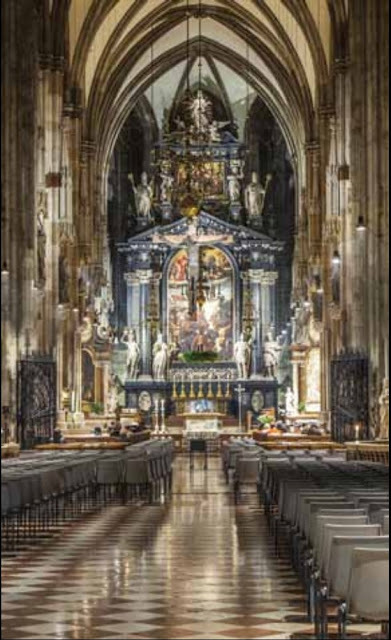 Located on Vienna's Ringstrasse and built by the same architect who designed the Cathedral of Cologne in Cologne, Germany. In one of the tallest towers is a statue of Rathausmann which is a symbol of the city of Vienna. To be able to see the interior follow the guided tour every Monday, Wednesday and Friday pkl.13.00, and pull it, do not need to pay you know, just leave the identity at the receptionist. Unfortunately the guided tour is only available in German. But do not worry, we lent an audio guide in English. If it comes between mid-November to Christmas Eve, there is usually a Christmas Market that became a tradition since hundreds of years ago. One of them in front of this Rathaus. It was built by the same architect who built Schönbrunn Palace and was formerly called Imperial Library. Inside is not only a library, but there are three museums, including Papyrus Museum, Globe Museum and Esperanto Museum. co at the Library of the Ceremonial Room or State Hall in this library once entered into one of the most beautiful library in the world because of its interior details are designed with Baroque style. 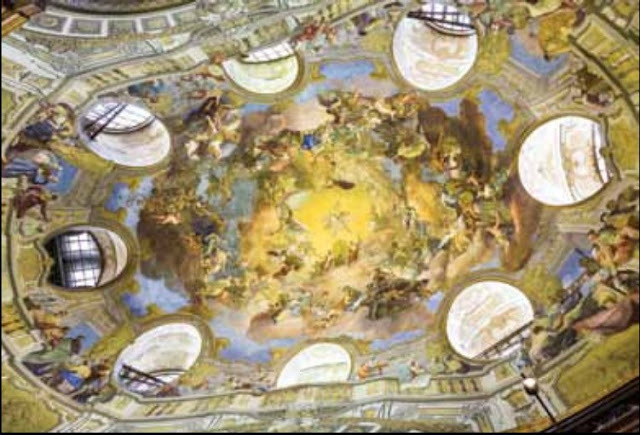 Has a dome as high as +/- 20 m decorated with fresco paintings throughout the ceiling, as well as on some of the surface of the walls. Allowed to take photos but without flash. Visitors can not take a peek at the books in the closet as most of the ancient collections are very valuable, but can see some books on display in the wood cabinets. Be careful if you touch the marble statue of Emperor Charles VI standing right in the middle of the room and surrounded by other statues of the emperor also made of marble! Its location in the Ringstrasse area. The museum, built in 1891, is home to a collection of royal family items. Across from the Natural History Museum and the exact same building; separated by the monument of Maria Theresa in the central part of the park known as Maria-Theresien-Platz. Both buildings are designed the same architect, Gottfried Semper and karl von Hasenauer. Artwork in it comes from various eras, ranging from the Middle Ages, Renaissance and Baroque. There are works by Raphael "Madonna in Meadow", Rembrandt, Dürer, Titian and Tintoretto, as well as artwork from Egyptian artists and other countries. While the Natural History Museum displays the history of the earth, nature and its contents in it, from the smallest animals such as insects, rocks, to minerals. Smallest animals such as insects, rocks, to minerals. Many works of art from Vienna artists from 1900, in the era of The Jugendstil. Vienna's Art Nouveau Movement is displayed and is not limited to painting only, but furniture, silver, glass to jewelry. Some artists whose work is displayed here include Gustav klimt, Column Moser and Josef Hoffmann. The museum opened in 1993 is the only museum about architecture in Austria which became the center of exhibitions, events, and research on architectural and cultural issues of the building. In addition to displaying the architectural history of Vienna in the 20th and 21st centuries, the museum also holds temporary exhibitions. Known as the largest modern art museum in Central Europe. Some artworks from Classical Modernism, Pop Art, Fluxus and Viennesse Actionism can be seen here, as well as works by Pablo Picasso, Andy Warhol and Franz West. The building is quite unique - modern architecture shaped gray cubes wrapped in basalt rock. In cooperation with Austrian Federal Ministry for the European and International Affairs and other parties, Quarter21 is created as an international cultural exhibition starting from design, photography, fashion, literature and more. It was built in 1994 as the first children's museum in Austria, especially the age of 8-14 years. Here will be found many interesting objects such as colorful objects, water mattresses or glass tunnels that encourage children to ask, touch, investigate, feel, and play. Divided into 5 areas: ZOOM Exhibition is usually for temporary exhibitions, ZOOM Studio where kids can create artwork with ZOOM team artists, ZOOM Animated Studio as a place of experiments with technology, see how animation is made, which unfortunately is only available in German . While ZOOM Science is the place of experimentation to know how objects can function and ZOOM Ocean as a playground. Its location at Innere Stadt in District 1. Saving some of the world's best artworks since 1805, from modern graphic works, photography and architectural drawings to Impressionist paintings by Renoir, Degas, Cezanne, Henri Matisse, Marc Chagall, Edvard Munch, Monet to Picasso . The name Albertina is derived from the name of its founder Duke Albert of Saxe-Teschen (1738-1822), the daughter-in-law of Queen Maria Theresa. Formerly a palace for Count Emanuel Teles Silva-Tarouca in the classical Neo style. Renovated in 2000-2003, a design canopy of the renowned architect Hans Hollein was added to his spectacular wing-shaped facade. To be able to enjoy all the collection of +/- 2 hours. In the yard of this museum many benches are in summer when usually used to sit back and relax. The restaurant has two branches in Vienna is known as home of schnitzel more than 100 years. One restaurant as well as a tavern that serves authentic Viennese food and is in District 1. Lugeck 7/ Graben 19/ Burgring 3, Vienna. The cafe has several branches in downtown Vienna. Here we can enjoy dessert like ice cream gelato, frozen yoghurt, cake and apple struddle. The price is quite affordable, EUR 1.30 per scoop and EUR 2 for 2 ice cream scoop. The must-see cafe is in Vienna, but must be willing to stand in line long enough to be able to try its famous sachertorte since 1832. 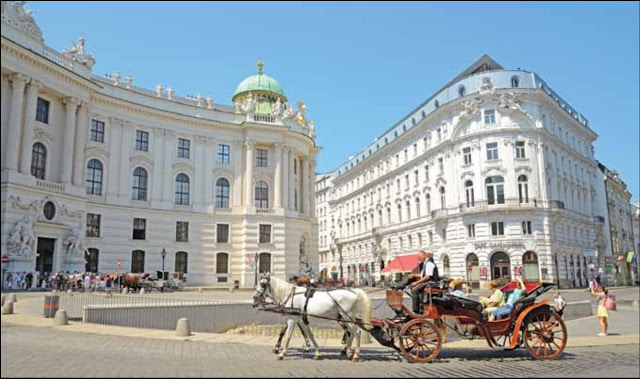 It is located opposite the Vienna Opera House, exactly in the same building where the Sacher Hotel is located. Designed with classic interiors, making it the right place to enjoy Viennese coffee-house atmosphere. The cafe also serves a variety of desserts, ranging from chocolate, cake, apple struddle and also this breakfast menu has been around since 1913. Compared with other cafekafe, Aida's interior design looks more ancient with pink as her trademark. It is one of the best five star hotels in Austria. The location is not far from the Vienna Opera House. Some world-renowned figures such as John F. kennedy, Indira Gandhi and Queen Elizabeth have stayed here with rooms per night for superior from EUR 485 including breakfast up to EUR 6,650 for presidential suite rooms. There are several locations in Vienna, one near the central station. More like a budget hotel with modern minimalist style and affordable price. Ranging from EUR 17 / person / night for a single bed in the dorm area. While for private double bed room around EUR 31.50 / person or EUR 63 / room when ordering from afar. (Although double bed room, but still calculated price per person). A four star hotel located in one of the Mariahilfer shopping center areas. 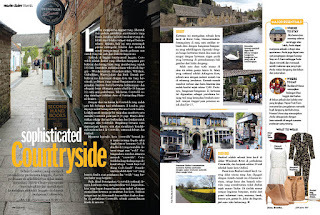 In the vicinity there are also many restaurants, cafés and bars. Just 5 minutes by subway (U3) from Stephansplatz square. The room rates start from EUR 69 for standard rooms up to EUR 134.80 for superior rooms at a premium price.